The Department of Defense has requested approximately $9.39 billion for unmanned systems and associated technologies in the FY 2019 budget. This proposal includes funding for the procurement of 3,447 new air, ground, and sea drones. 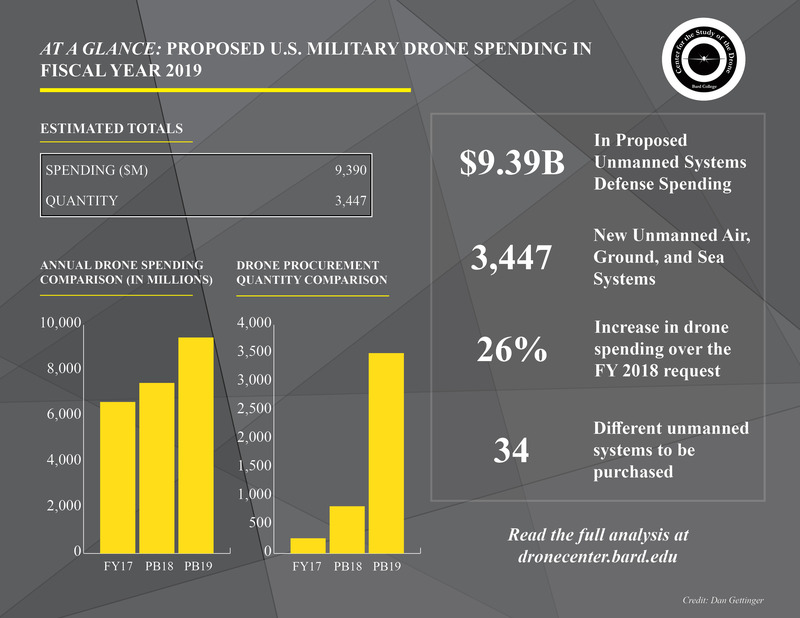 The FY 2019 budget proposal represents a significant expansion in drone spending over the FY 2018 requested budget, which contained approximately $7.5 billion in drone-related spending and orders for 807 drones. This document outlines a few of the largest and most noteworthy drone-related spending items in the FY 2019 budget request. If the document does not immediately appear, please refresh the page or click the “Download PDF” link above.